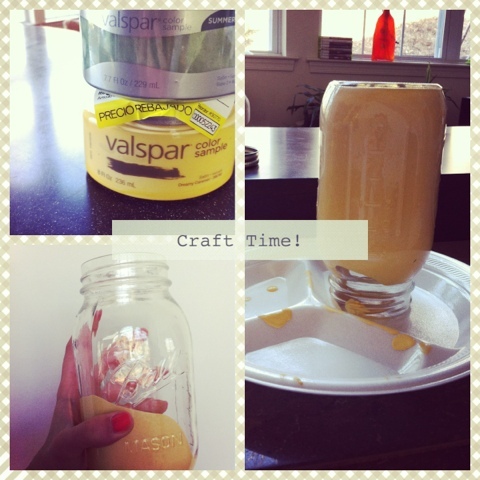 Today I'm feeling super crafty! So, I grabbed some wall paint, a paper plate, and a mason jar and víola! It's a work in process, but a painted vase, none the less. I'll post pictures of the finished product once it dries!